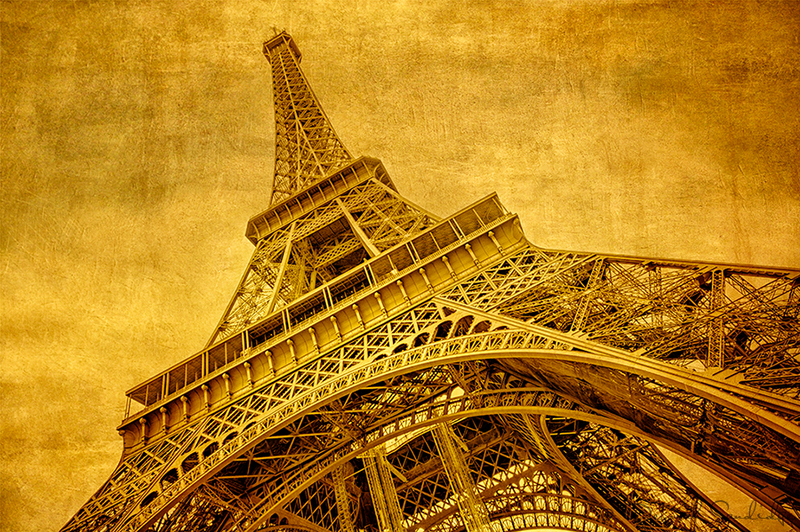 The iconic Eiffel Tower is one of my favorite places to photograph in Paris! An empty sky presents a perfect opportunity to work with textures for creativity and an artistic effect. With this photo, two layers of texture from Flypaper Textures were added for depth and a dramatic effect. You can use code DEBS for a discount on Flypaper textures. The key to working with textures is blend mode and opacity. Experiment with different blend modes to see what works best with your photo. If you'd like to read more about texture blending, here's a quick tutorial. Happy Friday and have fun working with textures!